Staggeringly tall, brightly colorful, its base composed of tightly knit geometric support and its thin turret reaching for the sky. A child climbs to the top, and then, balancing, raises a hand with five fingers. 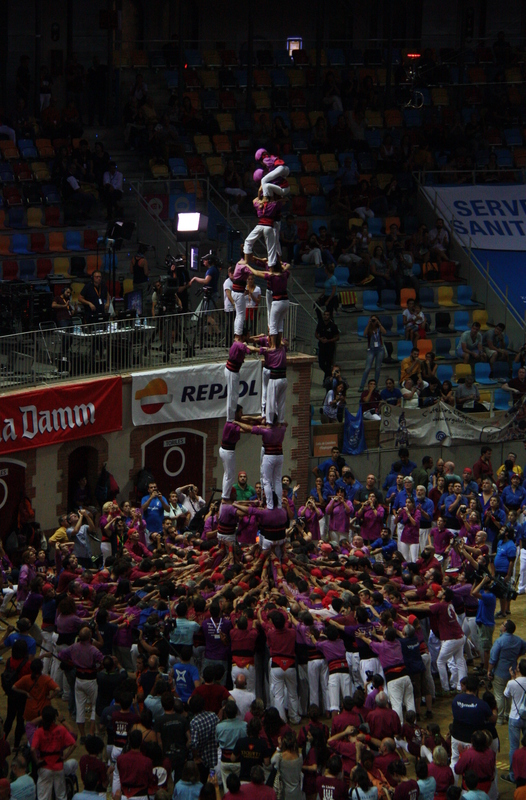 This is not a building - it's a Catalan human tower, known as a 'castell.' 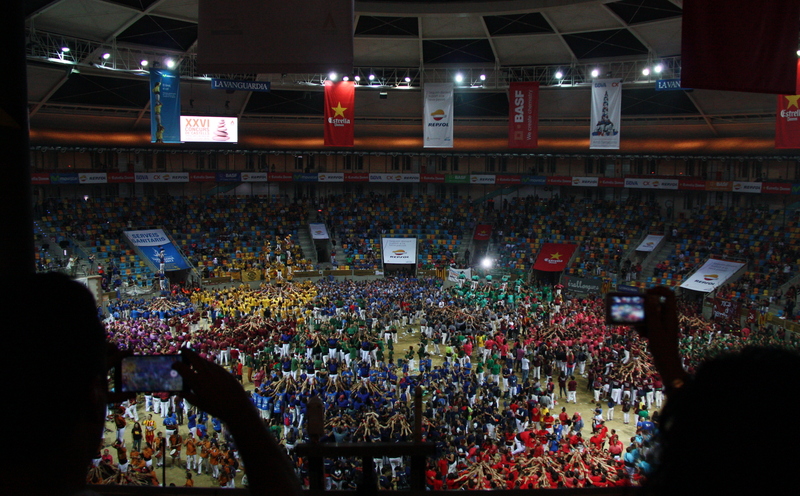 Its hometown Tarragona also hosts the largest competition for the event - so popular, that tickets for the last day of the 2018 competition sold out in a matter of hours. Saturday tickets are still available, though, for the 27th edition of the biennial event, to be held on the first weekend of October. Declared by UNESCO as a Masterpiece of Oral and Intangible Heritage of Humanity, it was first documented in Valencia in the 17th century, taking hold in the southern Catalan town of Tarragona and then spreading throughout the rest of Catalonia. 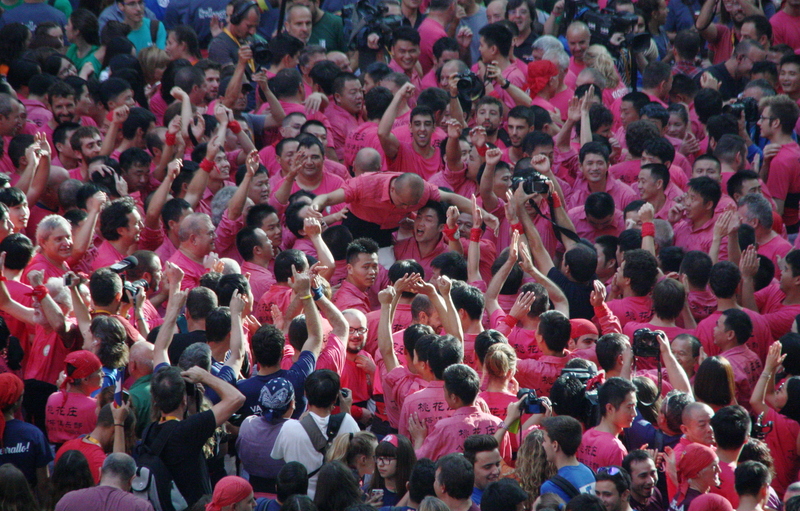 It's since become an important part of the culture - from Tarragona to Barcelona, visitors can see statues paying homage to this acrobatic sport, and Castells themselves can often be seen at protests or local festivities - even without the performance, 'Castellers' will often wear their traditional uniform. The highest on record was 10 tiers high with three people for each level.